Dubai, U.A.E. 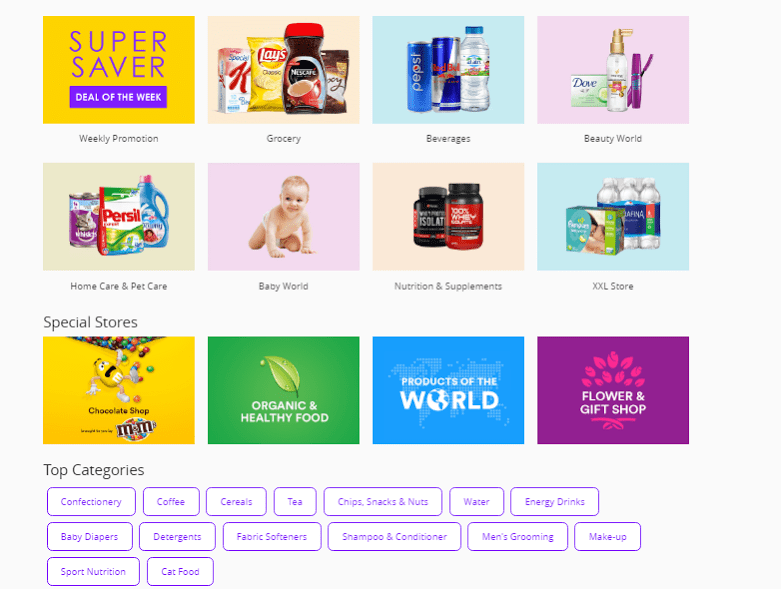 : With grocery shopping making deeper inroads into e-commerce globally, SOUQ.com, the largest retail and online marketplace platform in the region, is pleased to announce the launch of ‘SOUQ Superstore’ on its platform. SOUQ Superstore, an online hypermarket, is set to make monthly grocery shopping easier by providing householditems at the most competitive pricing – helping consumers save money as well as eliminating the pain point of carrying heavy load of grocery purchases from supermarkets. This exciting new launch compliments SOUQ.com’s recent investment in InstaShop- as part of its drive to provide a world-class online shopping experience to customers. While InstaShop allows users to access their nearby grocery store directly through their mobile app with delivery straight to their door in no time, SOUQ Superstore is well suited for consumers looking to stock-up on household items ensuring they never run out of essentials. SOUQ Superstore will feature the largest range of products from the popular global FMCG brands such as P&G, Nestle, PepsiCo, Unilever, Henkel, Reckitt Benckiser, Mars, L’Oréal, Johnson & Johnson, Nivea and many more. Michelle Hirst, Strategy and PMO Lead – Gulf at Mars adds, “At Mars we realise that today’s consumers are looking for convenience and special offers. We are really excited to be partnering with SOUQ.com, bringing our chocolate and pet food products directly to the doors of our consumers in a fast and effective way”.